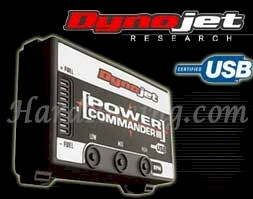 How Exactly does a Power Commander Work ?? 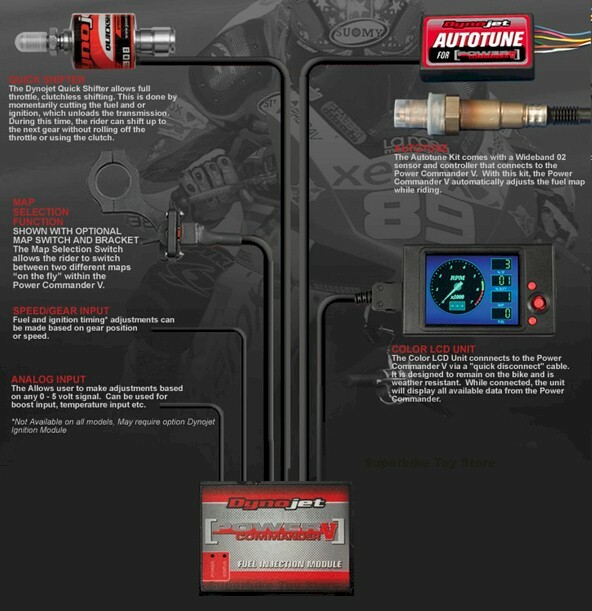 I need More Information on Exactly what it can do for my bike?? What is the Difference Between the PCII / PCIII / PCIIIusb and PC V ? Ok, Now I understand what the Power Commander Does. To The Application Chart Below. 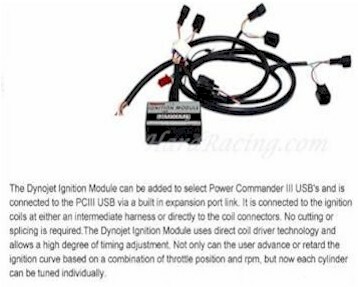 This does not apply to Harley Davidson model Power Commander USBs & PC V, as they include ignition timing adjustment ability as part of the base unit.. 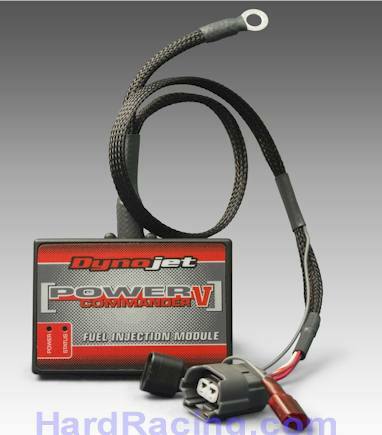 The system is designed to read the Oxygen sensor under certain conditions and temporarily change the air/fuel ratio. The closed loop circuit has a very limited operating range, which is only in effect while holding a steady speed at certain rpms and throttle positions. In this limited area, the stock system (with or without the Power Commander) will gradually and temporarily lean out the air fuel ratio in an attempt to achieve an air/fuel ratio of 14.7:1 (stochiometric). The Oxygen sensors can be disconnected but this will trip the F.I. dash warning light. 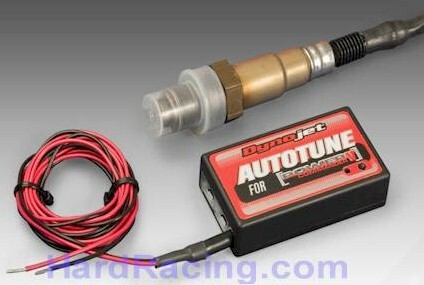 For California models that have oxygen sensors. The kit disables the closed loop system.